Their voice lingers around the dome; their vocals layered by a loop station that filled the space with hypnotic charm and more unanswered questions. 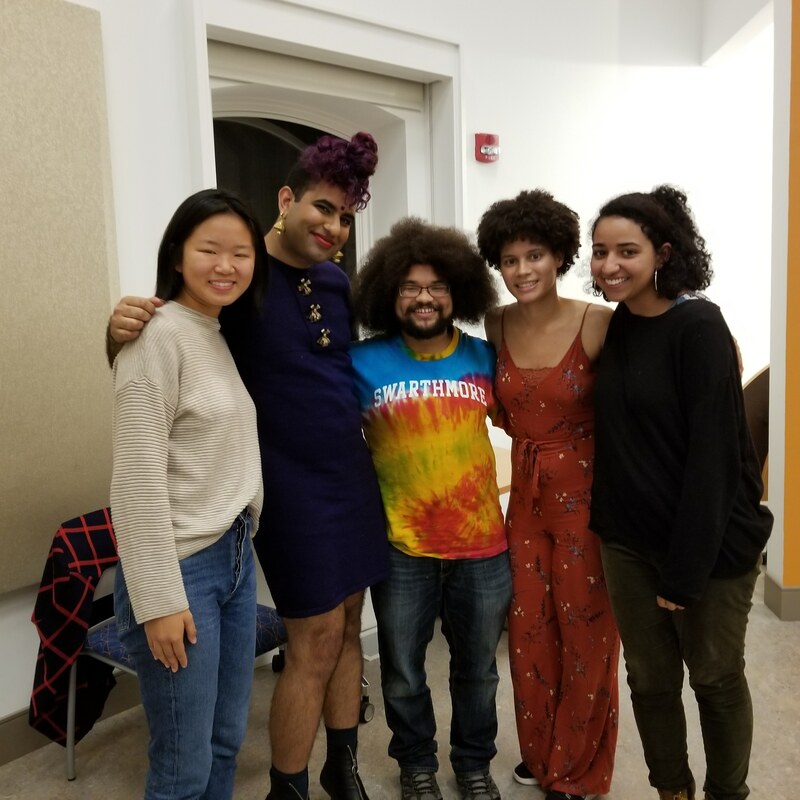 Vaid-Menon, a gender non-conforming performance artist, came to Swarthmore last Friday as part of the Pride Month celebrations on campus. 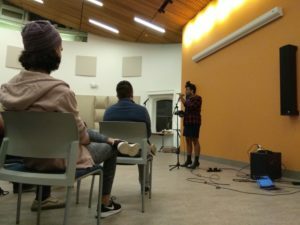 They performed various spoken-word poems discussing a large range of issues: transphobia, gender, sexuality, identity, emotion, and many more. 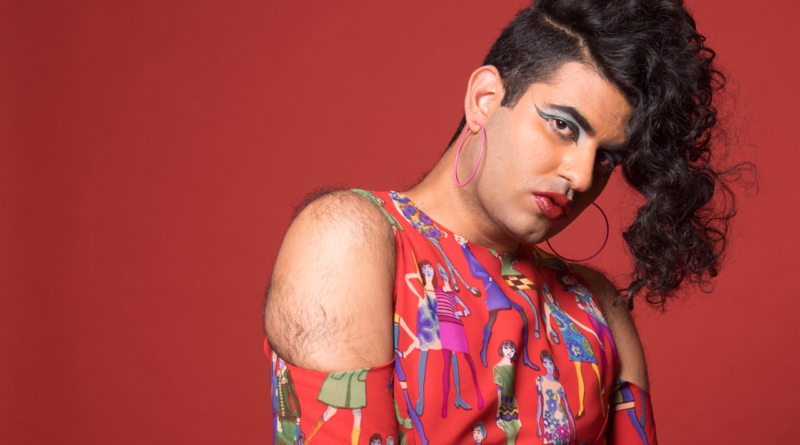 As the political climate becomes more hostile towards gender non-conforming and non-binary communities, Vaid-Menon’s art takes on an increased urgency. They highlighted the violent hate crimes committed against transgender people and the Trump administration’s complicity. Even the audience is not exempt from Vaid-Menon’s piercing critique. “Why do you only care about us when we’re on a stage entertaining you?” they said. To them, there seems to be a disconnect between how gender non-conforming individuals like themselves are treated in different situations. As a performer on stage, they receive laughs and applause; on the street, they only get stares and snide remarks. In the background of their performance was a surreal soundscape that Vaid-Menon expertly curated with the loop station and their own voice. Occasionally, there were repeated phrases enmeshed with the background whispers and tones — a poignant prayer cutting through the noise of daily life. Chase Smith ’22 was captivated by Vaid-Menon’s use of music and sound, as well as their exploration of different social issues in their art. “It was mesmerizing because of their ability to incorporate spoken word, music, and the loop station into their beautiful performance,” he said. Prospective student Alex Malcombe from Lafayette High School in Louisiana appreciated the chance to see Vaid-Menon discuss these issues so openly. Between their pieces, Vaid-Menon offered hilarious anecdotes and satirical jibes on almost everything, from U.S. politics to irritable bowel syndrome. 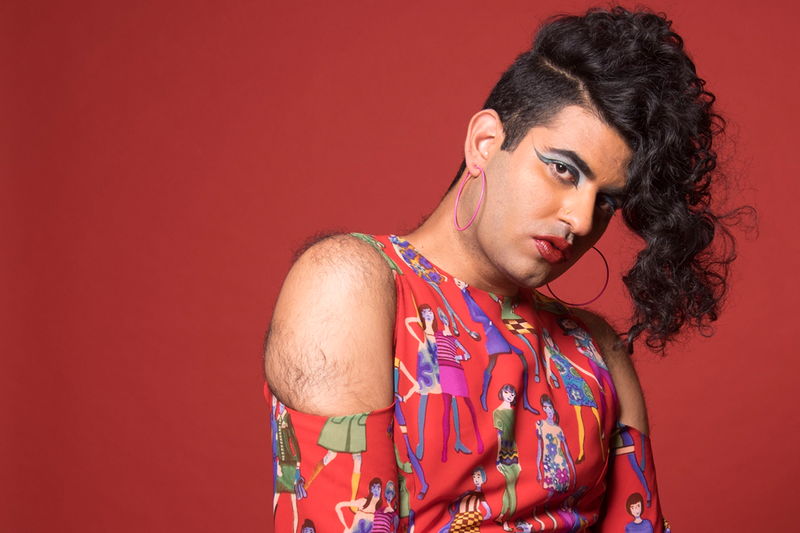 Vaid-Menon specifically commented on the 2016 U.S. presidential elections, branding them a “big drag show.” While others around them responded to Trump’s victory with shock and horror, Vaid-Menon remained unruffled. “I found out that racism and sexism were invented in 2016,” they said with characteristically wry sarcasm. In these tumultuous times, Vaid-Menon stressed the importance of maintaining one’s digestive health, especially because of the ongoing debate over transgender bathroom rights. “The only straight thing in my life is my digestive system,” they said. Besides electoral and bathroom politics, Vaid-Menon also discussed how the current feminist movement has much room for improvement. They said that the movement is dominated by one perspective — typically that of heterosexual, white women — and is still dictated by social norms. In the end, Vaid-Menon said, what unites us is our ability to feel. Our courage to experience true emotion, feel empathy for those different from us, and offer unconditional love keeps us together. Feelings come from strength and not weakness, they said. After Vaid-Menon’s performance, students were able to meet them and obtain copies of their poetry collection, “Femme in Public.” Many eagerly stood in line to speak with Vaid-Menon. The night ended with an open-mic segment for all students to participate in. Some of the performances included poetry recitals by Nora Shao ’19 and Destiny Samuel ’22, an original song by Gene Witkowski ’21, an Adele cover by Chase Smith ’22, hip-hop verses by Harsha Sen ’19, and an upbeat song by the band Goblet. Lijia '20 is a semi-cultured heathen who believes sour cream is a kind of yogurt. She would rather spend hours making the computer do her math problems than 30 minutes doing the same things by hand.